The most common, and most versatile way is through use of Event Triggers. Event Triggers are user-driven actions which, when they meet the criteria you define, will perform some action on or revolving around the user. This includes items such as sending emails, enrolling into new courses, awarding badges, setting values, and many other things. There are three types of Event Triggers available that enable you to affect users for their entire active time in the LMS system: Course, Portal, and Other Product. Event Triggers can be used a variety of ways. 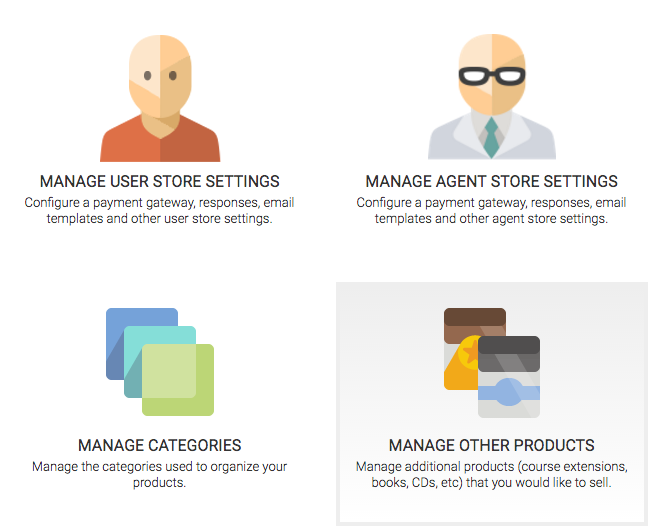 An easy way to get started is by distributing Badges for different user actions inside the system. You can, for example, use Event Triggers to move users into different Usergroups and Courses; allowing your report admins to constantly see how their users are performing in different phases of their training. 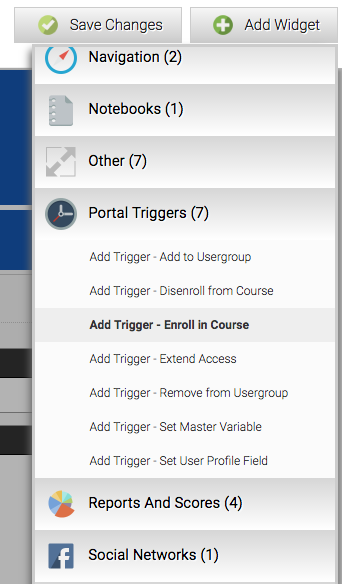 You can also use Event Triggers to simulate a subscription to the system — using Event Triggers which extend trainee duration in certain classes, or a library of Courses. The possibilities are nearly endless. Event Triggers are the solution to many of the different scenarios you may encounter as an administrator. When triggered by a user’s actions, a chain reaction will occur somewhere else in the system; this occur time and time again, and once they’re set up, go to great lengths to automate different user-related processes in your Axis LMS. You’ll want to use Event Triggers to solve a huge range of possible scenarios: changing user fields, enrolling them into courses, opening up new sections of a Course – the list really is endless. If you’re just getting started with Event triggers, the best way to think of them is IF->THEN scenarios. If a User does X, then Axis LMS should respond with Y. 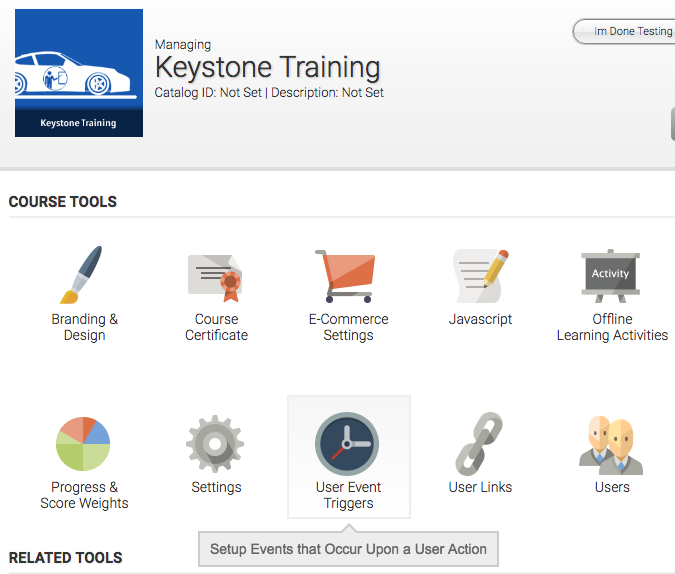 There are three different types of Event Triggers: Shopping Cart, Learning Portal, and Course. Shopping Cart Event Triggers are an outlier, as they do not use the same label because of how they are triggered. Shopping Cart Event Triggers are set up as part of an “Other Product”, and there is only one way they can be triggered: a user purchases that product. The reason the “Other Product” doesn’t use the “Event Trigger” label is because the label wouldn’t mean anything to the purchaser, and because the “Other Product” can be physical products; such as books. One example of how you might use a Shopping Cart Event Trigger is to offer your users to opportunity to extend their time in a course. Their initial enrollment may have come with 60 days of the course; but using the Shopping Cart Event triggers, users could buy additional segments of time. Used by themselves, you can create to extend a users access dates in your system; or a course – setting the system expiration date is especially useful for automatically de-activating users. Learning Portal Event Triggers are perhaps the easiest for users to initiate – they need to ‘land’ on a Learning Portal page. You can restrict access to Learning portal pages through page groups to prevent these triggers from firing; you can also add secondary requirements such as being in a certain Usergroup. You can use Learning Portal Event triggers to accomplish tasks such as enrolling users into Courses, Adding or Removing from Usergroups, and changing the dates they’re able to continue accessing Axis LMS. When used with Shopping Cart Event Triggers, you’re able to act upon data that was set when the user purchased. For example, if a user purchased their way into a Usergroup, the Learning Portal Event Triggers can then enroll them into Courses based on that Usergroup. 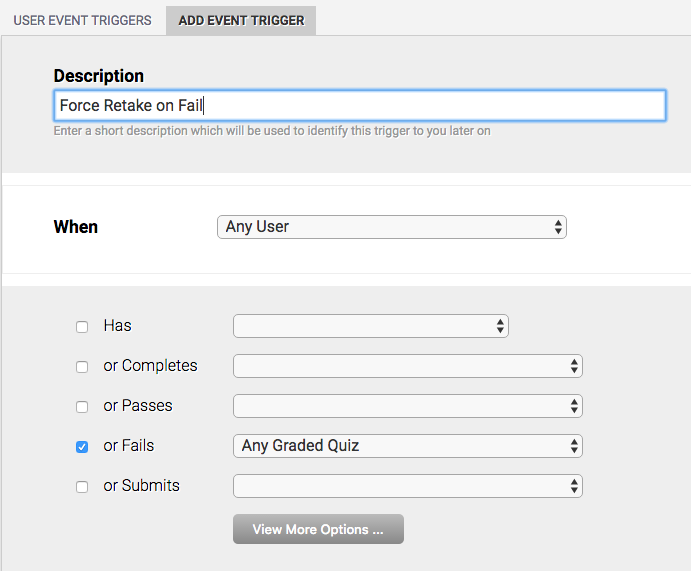 Course Event Triggers have the most varied amount of user-triggered actions; such as completing, passing, or failing a certain module, or any module. They can also be further refined to act on smaller subsets of users via their Course Active Dates, dates, or any user profile field. Using Course Event Triggers, you are able to hide sections of the course; revealing additional sections only when the user has completed appropriate quizzes. You can also halt a user’s progress, and enroll them into additional training if they are failing those quizzes. When used with Shopping Cart and Learning Portal Event Triggers, users can purchase their way into a user group, which then enrolls them into one or more courses. When the user accesses one of those courses, they can be dis-enrolled from the other courses. Event Triggers allow administrators in incredible amount of customizability, and automative capabilities. However, these long chains of events can be intimidating to some administrators, especially if they’ve never made one before. When you’re creating long chains of Event Triggers, always remember that only one event is firing at a time. So once you have your end goal in mind, just take one step back each time and test it out – then another, and another. How does a user trigger this event? Below are a few samples of how event triggers can be used. If you’re selling multiple courses as part of a package, you’re going to need to use either the Shopping Cart, the Learning Portal Triggers, or both. Inside Axis LMS, your users have ‘hidden’ fields that you are able to set and manipulate strictly through Event Triggers. There are two types of these fields: Course Tracking Variables, and Master Tracking Variables. Course Tracking Variables are unique to a Course, while Master Tracking variables follow a user all throughout Axis LMS. By using these variables efficiently, you have the ability to use fluctuating variables to create a more dynamic course. Inside Axis LMS, it can be manually set by going to a user’s Dashboard, and selecting the Manage Trigger Data icon. Course and Master Tracking variables are the only fields that are able to be incremented, rather than being set. This unique attribute allows you to create scenarios that would otherwise be impossible. For example, acting upon any module failure is easily accomplished with just Course Event Triggers. But you may want to set a ‘tolerance’ of five failures. Another scenario you may want to consider is giving your clients a discount after so many successful course completions. Without Tracking Variables, you could give a discount after completing a specific course; but with Tracking Variables, you expect additional effort put forth from your user for the added initiative. With these items in place, we’ll set up the event triggers. 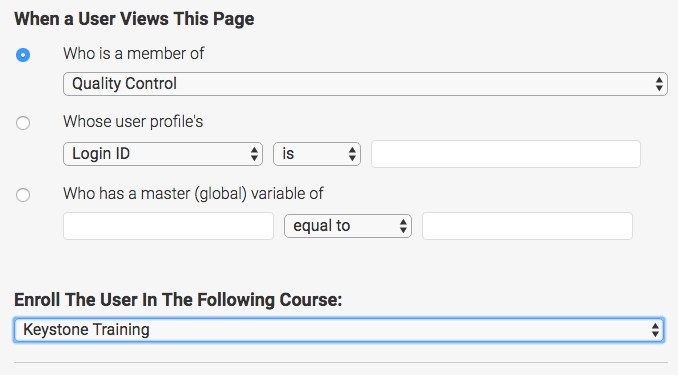 For the event triggers, we want to tick up a Master Tracking Variable every time the user passes a course. If the user has passed 3 courses, we want to set their “Repeat Customers” to “True” so they can take advantage of the discount. With these two triggers set up, you’ll want to import them into other courses. Now when a user completes 3 courses, they will have a permanent 25% discount on all their purchases. 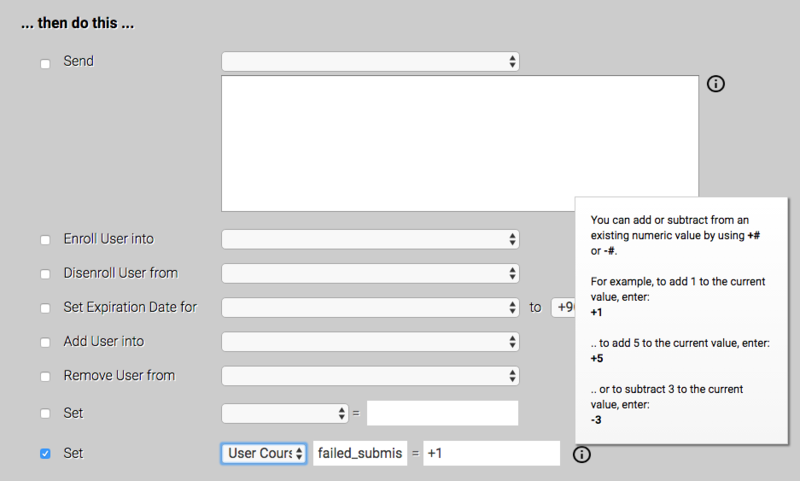 If your system is already using most or all of your custom fields, you can substitute the Custom 10 with a Usergroup. This entry was posted on Friday, May 12th, 2017 at 10:26 am	and is filed under Atrixware 101, ELearning 101. Responses are currently closed, but you can trackback from your own site.